Digital twin defines as a digital replica of physical assets, places, people, processes, systems and devices which can be used for different purposes. It has ability to control, record, and monitor dynamic process, product or a service through creating an imaginary model by simulation software & computer-based aids. It is also capable of sustaining conceptualization, assessment, and collaboration for the high-end improvements and the problem-solving techniques. It provides concurrent status and functioning conditions of the substantial objects via accessing data from the sensors installed in the objects. The Digital twin market primarily assist for reducing operational loss, controlling supply chain loss in a manufacturing plant and designing or repairing of the airplanes and turbines. 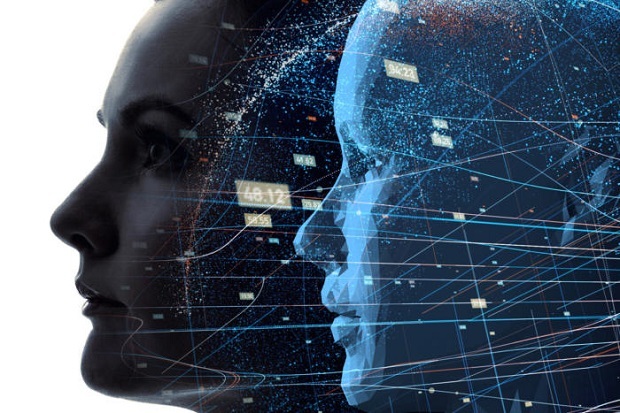 According to study, “Digital Twin Market: Global Drivers, Restraints, Opportunities, Trends, and Forecasts to 2023” some of the major companies that are currently working in the digital twin market are Infosys Ltd., Dell Inc., Dassault Systemes, Twin Thread LLC, Siemens Ltd., Prodea System Inc., DIGITAL TWIN, Schnitger Corporation, Hexagon AB, General Electric Company, Ansys Inc., SAP SE, Robet Bosch GmbH, AT & T Inc., Cisco Systems Inc., Alphabet Inc., SimScale GmbH, Oracle Corp., Concirrus, IBM Corp., AVEVA Group plc., Allerin Tech Pvt Ltd., Amazon Web Services, Altair Engineering, Inc., Prodea System Inc., Aucotec AG, CADFEM GmbH, Autodesk Inc., Parametric Technology Corporation (PTC) Inc., Sight Machine Inc., Toshiba Corporation, TIBCO Software Inc., Virtalis Ltd., Computer Science Corporation, DNV GL AS, CoSMo Company SAS, FEINGUSS BLANK GmbH. Based on the type, the digital twin market is segmented into product twin, system twin and process twin. The process and systems twins are a high demand in the end-user businesses due to extensive functionalities. Based on the exploitation type market is categorized into on-premises exploitation, cloud exploitation and hybrid exploitation. Based on the technologies market is segmented into APDV, Predix, DTS-Si and other technologies. Based on the application, market is segmented into operations optimization, business optimization, machine & equipment health monitoring, cyber security, edge computing and asset performance management and others. Business optimization controls the supply chain loss and present better lean manufacturing capabilities with data driven solutions to improve the efficiency. Machine & equipment health monitoring includes structural health and conditional monitoring. Based on the industries, the market is defines as power, aviation, oil & gas, home & commercial, manufacturing, BFSI, smart cities and healthcare etc. The digital twin market is driven by increasing virtual marketing promotions, followed by growing popularity of internet of things & cloud platforms, rising early warning or prediction & optimization, increasing demand for cloud-based platforms and increasing digitalization (a strategy to enhance productivity). However, some of the restraints are lack of skilled workforce and technical knowledge, interoperability & security, lack of awareness regarding cost benefit of the adoption of digital twins and delay in implementing 3D design technologies. Some of the key opportunities include expanding the boundaries of product design technologies and cognitive digital twin. North American region holds the prevalent market share of inclusive digital twin market followed by Asia Pacific and Europe regions. The growth of the region is primarily by the key countries such as Canada and U.S. and is attributed to rising demand for analytical tools & spatial data. In upcoming years, it is anticipated that this market will be developed fast as a result of the policy changes for the expansion of manufacturing capabilities.